Order in the next 3 hours, 21 minutes an 12 seconds for same day shipping. 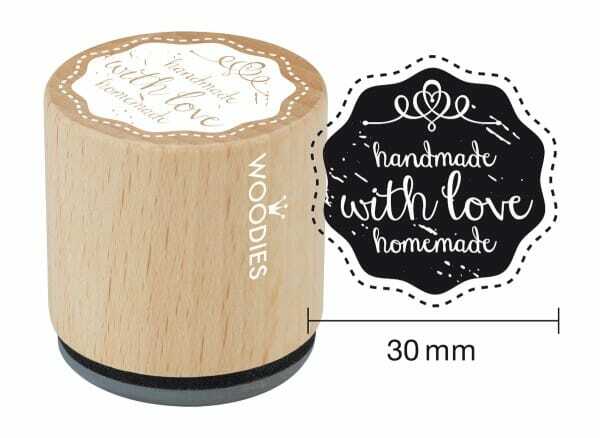 Creating a more thoughtful way to say you made it with love, the woodies stamp is ideal for enthusiastic crafters who want to go that bit further. Made from beech wood and 100% natural rubber, the dainty 30mm stamp features 'handmade with love homemade' text that will give each invitation, label or gift you stamp an elegant finish. Ideal for creative professionals and amateurs alike, the woodies stamp offers a quick and easy way to say something more. Customer evaluation for "Woodies stamp handmade with love homemade"